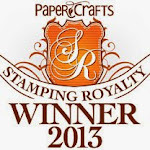 Simon Says Stamp December Card Kit Winner, Simon Says Stamp Product Feature, and a few SALES! 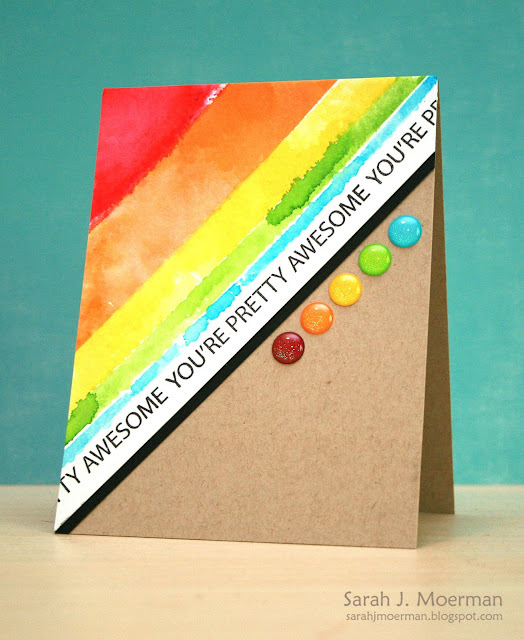 I'm stopping by today to announce the winner of the Simon Says Stamp December 2015 Card Kit: Gifts of Love and to share a couple of cards made with some fun Simon Brand goodies! Love the card and the kit! Congrats, Robin! 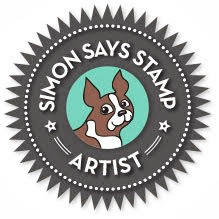 Please mail me via the sidebar with your mailing address so I can pass it on to the wonderful folks at Simon Says Stamp. 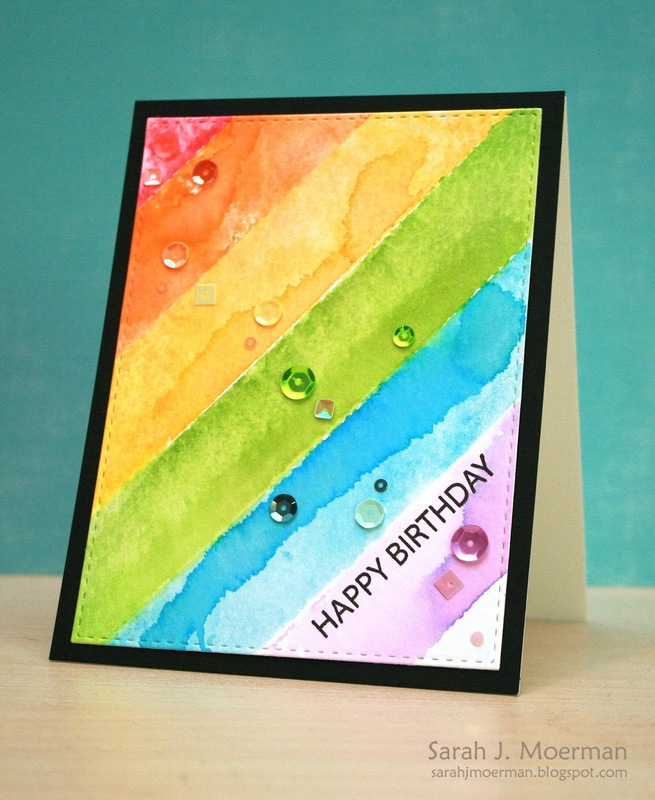 For both cards, I used Simon's Jumbo Stripes Stamps along with Zig Clean Color Real Brush Markers. I coloured directly onto my stamps with the markers and spritzed them with water before stamping them onto Tim Holtz Distress Watercolor Cardstock. (The ink will stain the stamps but I'm ok with that). Once dried, I stamped the sentiments from the same stamp set with Versafine Onyx Black Ink Pad. I embellished the first card with Various Lucy Abrams Shaker Selections and the second one with Doodlebug Summer Glitter Assorted Sprinkles Enamel Dots. Before I go, I wanted to mention a couple of sales going on. 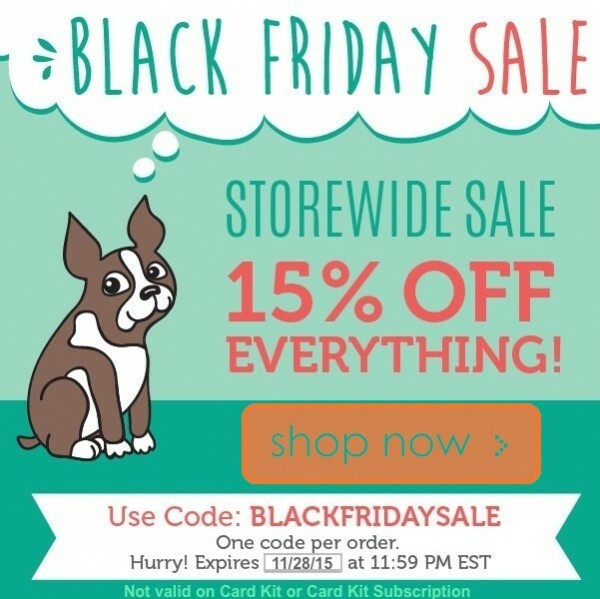 First off, Simon Says Stamp is offering 15% off EVERYTHING STOREWIDE until November 28, 2015 (tomorrow) at 11:59 EST. Use code BLACKFRIDAYSALE at checkout. Secondly, Knit Picks is offering 20% off EVERYTHING STOREWIDE today through Cyber Monday. Use code 20%OFF at checkout. If you`re new to knitting or want to give it a try, Knit Picks Learn to Knit Club looks like a great place to start! You get everything you need to complete the project(s) - yarn, needles, instructional booklet...as well as online tutorials to help you along. 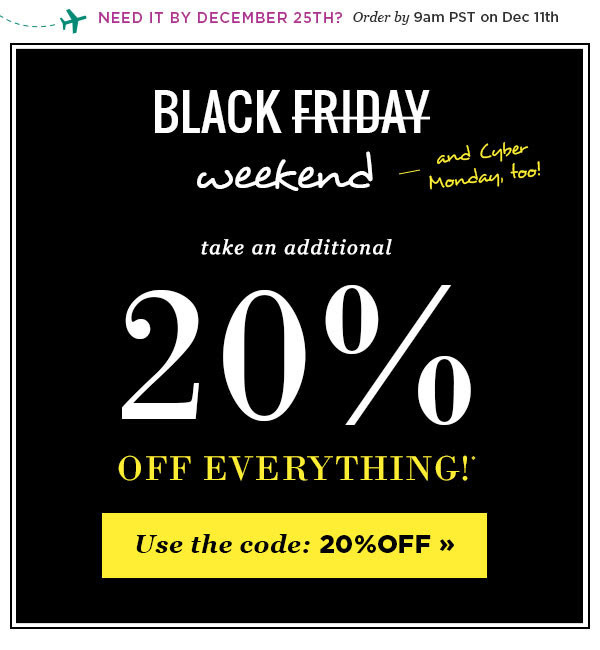 The would be a great time to check it out with the 20%OFF code! That's it for me today! I hope you all have a great weekend! 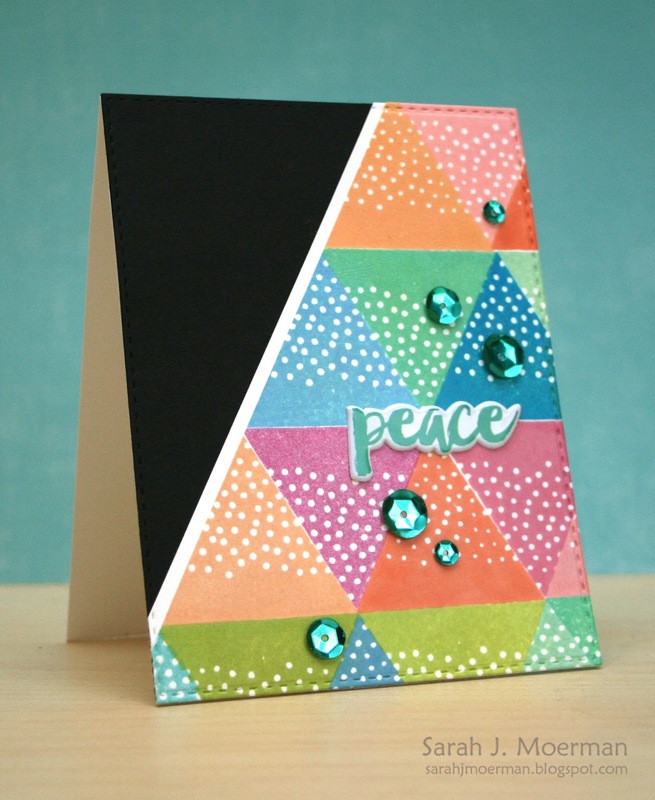 Simon Says Stamp December 2015 Card Kit: Modern Peace Card and GIVEAWAY! I'm back to share a final card made using the fabulous new Simon Says Stamp December 2015 Card Kit: Gifts of Love! I used my Misti Stamping Tool along with various Simon Says Stamp Inks to make stamping the triangles in a pattern much easier. I then matted the stamped panel with a strip of Simon's 120 lb White Cardstock and adhered it a piece of Simon's Black Cardstock before die cutting it with the largest of Simon's Stitched Rectangles Dies. I adhered it to a top folded note card before adding the 'peace' sticker from the Pinkfresh Studio Christmas Wishes Puff Stickers and some of Jillibean Soup Teal Plum Self Adhesive Sequins. You could easily swap out the peace sentiment for a birthday, hello, or thank you card. 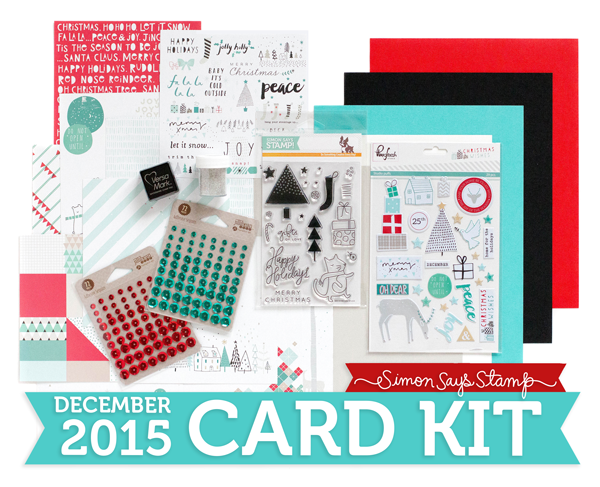 If you're interested, you can pick up the Simon Says Stamp December 2015 Card Kit for just $29.95 + shipping. If you'd like to receive this kit and future kits for only $24.95 + shipping per month, you can SUBSCRIBE HERE. Heidi, the sweet owner of Simon Says Stamp has given me an extra December Card Kit to pass on to one of you! Just leave a comment on any or all of my December Card Kit posts and I'll announce a winner Friday November 27th.